When it was first announced (under the title The Bear and the Bow), Brave was widely considered a bold and necessary step forward for Pixar. Despite all of their innovations and success, the studio has often been criticised as something of a boys' club, with no female filmmakers or leading female protagonists being able to make a mark in their films. Brave was the film that was going to rectify that, and while it has lost its female director – Brenda Chapman having left the project during its bumpy production – the film's central character Merida is one for the ages. Tough, adventurous, beautiful and skilfully voiced by Kelly Macdonald, Merida is a heroine who manages to feel contemporary in a traditional story. She's an instantly engaging character, but she really deserves to be in a better movie. Set Once Upon a Time in some fairytale vision of the Scottish Highlands, Brave is the story of a young woman being moulded for one role and choosing to follow a different path. Merida's mother Queen Elinor (Emma Thompson) is embarrassed by her daughter's tomboyish behaviour and yearns for her to behave like a real princess. 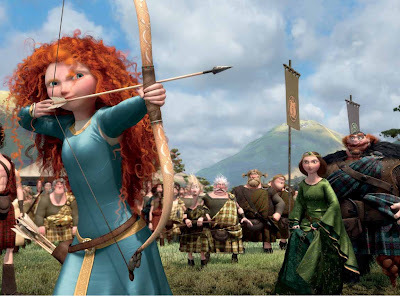 Her father King Fergus (Billy Connolly) doesn't share his wife's worries over Merida's desire to pursue archery over marriage, in fact he encourages it, delighting Merida and her three young siblings with his anecdotes about the great bear that took his leg many years ago. As in How to Train Your Dragon, the male Scots are depicted in a broad manner as a bellicose bunch primarily interested in drinking and fighting; but the focus of this film – and where it is at its best – is the strained relationship between a mother and daughter. 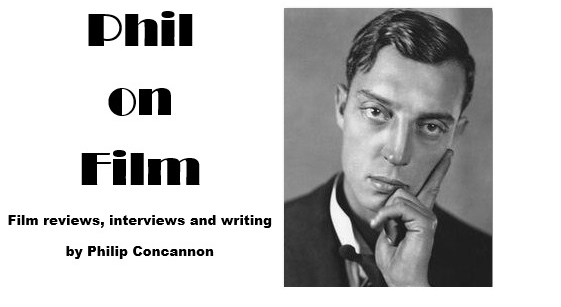 This relationship is skilfully drawn in the film's opening half-hour. The inability of both Elinor and Merida to make the other party see things from their point of view is convincingly played, and it leads to the film's single best sequence. 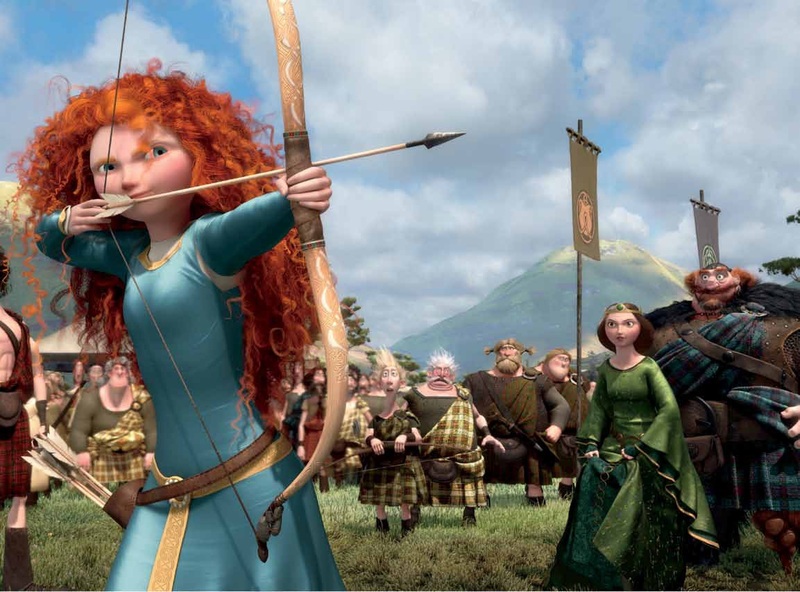 When suitors from neighbouring clans are invited to partake in a series of challenges to win Merida's hand, the teenager embarrasses both them and her own mother by displaying superior archery skills. The fight between mother and daughter that follows has a tangible emotional depth to it, with a cruel act committed in anger by Merida particularly stinging Elinor. To see a family film focusing on real family conflict is interesting, but this proves to be the movie's dramatic highpoint, as Merida's subsequent rash decision to have a witch cast a spell on her mother sees Brave's narrative taking a turn for the worse. There are some lovely touches in Brave's second half – particularly the animation of Elinor after the witch's spell has taken hold – but the film seems to run out of inspiration halfway through. After so much time is expended on Merida and Elinor sneaking out of the castle, my heart sank when a similar sequence took place later with the pair trying to sneak back in to the castle. It looks suspiciously like padding in a film that already feels slight, and the jumbled introduction of a backstory to explain the presence of a ferocious, marauding bear doesn't really work. Brave does possess all of the visual beauty that we expect from a Pixar movie, with its atmospheric rendering of Scottish woodlands being particularly pleasing, but this awkward marriage of Pixar storytelling with a more Disney-ish milieu has resulted in one of their most underwhelming and frustrating pictures. Disney managed to deliver a revitalised fairytale story with last year's Tangled – a film with wit and energy to spare – and Brave feels a little half-cooked in comparison. There's no point making forward strides with a female central character if the film that surrounds her feels like a backward step.